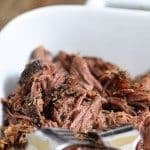 Okay, before I go any further, I have to tell you that this Dr Pepper Roast Beef is by far one of the best slow cooker roast beef recipe that I have ever had. I also want to tell you that my love for Coca-Cola has not faded. It’s a Georgia born and bred drink and I can’t stay away from it for long. 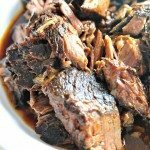 But, Dr Pepper just adds something special to this slow cooker roast recipe. Oh my stars does it ever. I love putting everything in the slow cooker and heading off for my day of activities without having to worry about what we’re having for supper. I need all the help I can get for having supper ready after a busy day. Coming home from late football practice and now adding games to the schedule leaves me with few nights that I can leisurely cook supper – if I ever could during the week. These are the nights I am more thankful than ever for my slow cooker. And this Dr Pepper Slow Cooker Roast Beef. But we’ll just talk about the roast for now. 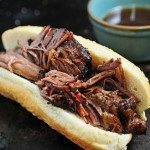 Here’s my recipe for Dr Pepper Slow Cooker Roast Beef. I think you’ll love it. Serve warm with pan juices spooned over the top. This one is new to me. I’ve always used an envelope of ranch & thousand island dressing , w/ half envelope of brn. Gravy mix ( whole 2 salty) cup water, or any leftover liquid in kitchen. Add roast 3-5#, powders & liquid & cook on low @ 6-7 hrs. cant ‘member at this time. Nothing else!! Is easy and tasty. I also like mine falling apart. For those talking about the excess liquid, try cornstarch for gravy. This is 1 recipe I will try. I keep all my ingredients at all times. Store brand mix is all I buy when it comes to salad dressing. Sounds delicious, Beverly. My sister-in-law makes a very similar roast in her slow cooker and it is delicious. I tried this recipe today and it was awesome! I used about a can and a half of Dr. Pepper and one and one-third cup of water. This is the way to go if you need more than seven hours of cooking time! After a long day of shopping I came back 8 hours later to a perfectly cooked roast! It was my first time with a crock pot and I would definitely recommend this recipe for other beginners! Next time I’ll be trying it with dried onion soup – I hear it’s amazing! Thank you for the awesome recipe! I knew I was going to use this as a sand which shred so instead of worstershire I subbed in A-1 and it was wonderful! Served this on a crusty baguette with provolone and had to seriously restrain from having two! Thanks a bunch! Made this today. Used diet Dr. Pepper and used 1/2 c water and 1/2 c beef broth. Turned out quite well, but would add some spices next time to add some punch. Certainly cooked it tender and juicy. Thanks for the recipe. Always like to try new variations. Stupid question I know, but as a slow cooker beginner … what size slow cooker did you use for this? Mine is pretty small. I would suggest a 5 or 6 quart. Prepared this today and it was so good! Thanks for sharing the recipe! I need to make a meal for a large family who just introduced a new little one into their fold. I have a large bone-in chuck roast that I’m hoping will due will with this recipe. Since I’m not sure what this tastes like when it’s done, could you advise me on what sort of bread and what sorts of condiments would suit the finished product in a sandwich? Thanks so much! I would serve it on a thick sourdough bread with a deli mustard spread. Would this work with short ribs? This is wonderful and easy! 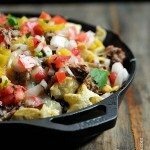 I’ve linked to it on my site since Hy-Vee has a great deal on roast this week and it’d be a great item to have in a weekly meal plan. Thank you for sharing! 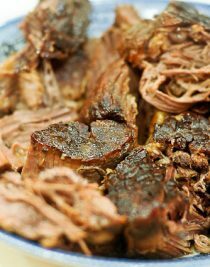 perfect recipe – hubby loves roast beef and Dr. Pepper, so I know this will be a winner! My family loves roast beef and Dr. Pepper so this should be a win win. Just put this in my crock pot for tonight! Looking forward to trying this with gravy and mashed potatoes as an open faced roast beef sandwich 🙂 will let you know how it turns out! How much is 2 dashes Worcestershire sauce?? I didn’t have time to do it in the crock pot, so I cooked it on 300F for 3 hours in an oven-safe Dutch oven. I did not add the water, but gave it a splash of Balsamic vinegar. Very easy, and VERY yummy. Think this will by my go-to pot roast from now on. (Being from the South, I wonder how it would be with Coke instead of Dr. Pepper.) If you are inclined, you could also reduce the juice and thicken with a little cornstarch while the meat is resting. THUMBS UP! 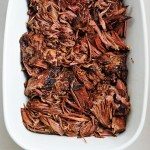 What type of roast is best for this recipe? 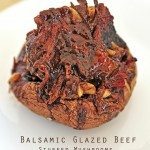 So I can’t wait to try this one, but I am wondering if I don’t have a crock pot how long would I roast it in oven, can I achieve the same results? My roast is frozen. Should I let it defrost or just cook it longer in the crock pot? My family loves beef and dr.pepper. I’m excited to try this one. Start with frozen or thawed? I’m just a beginner, and just wanted to ask a couple questions. Do you trim the fat off the roast beforehand? Also, I know that a lot of roast recipes have you sear the meat first, and then slow cook. Do I have to do this or is it just as simple as the recipe states? I don’t trim the fat from my roast when I cook them. By slow cooking the meat, you’ll render the fat from the meat giving you a very delicious, flavorful jus. I do not sear my roasts first before I slow cook them. I just toss it all into my slow cooker, set the timer and go. Good luck! Hope you love it! what if i wanted to add some carrots and potatoes to it would it not come out right? I’d love to be able to save this, but I didn’t see a “save” button. ????? There is not a save button, but if you are referring to the ZipList save button, you can easily use their bookmarklet to save it to your recipe box. Thanks so much! You can add a jar of mild pepper rings in and it it turns out amazing. I did this and I won’t ever cook another roast without adding them. Opps, I meant pour instead of “poor”. How do you serve it? Sounds great – and perfect way to use the slow cooker on these hot summer days too! I just would like to know the best way to serve it … or ideas/options, etc. Thanks! What kind of meat do I buy at the store. I am terrible at finding the right kind…will it saw raost beef or something like chuck roast or rump roast???? Typically when referring to an American Roast Beef you want a Top Round cut of beef. You can use other cuts such as rump roast, bottom round, eye of round but the best roast beef is top round. I was the GM of a fine dining establishment and am now in food sales so I’m speaking from experience. 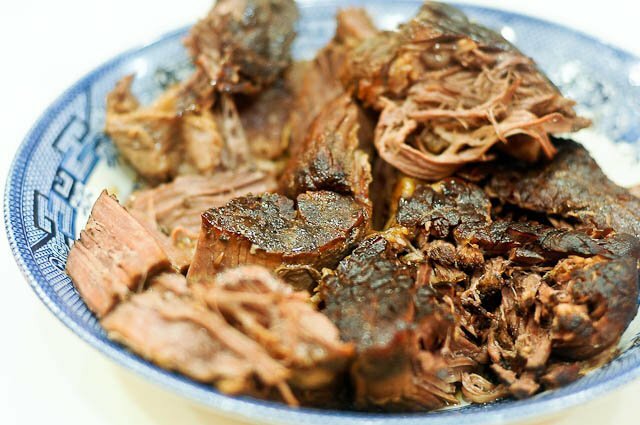 I ALWAYS USE A RUMP ROAST AND IT TURNS OUT GREAT, BUT I’VE ALSO USED A CHUCK ROAST WITH SUCCESS. THE ONLY DIFFERENCE IS THE CHUCK HAS A TON OF FAT THAT YOU WILL HAVE TO PICK OUT AFTER COOKING. THE RUMP HAS WAS IS CALL A CAP OF FAT. IT CAN STAY ON UNTIL YOU ARE FINISHED COOKING, BECAUSE IT KEEPS THE MEAT MOIST. I FORGOT TO MENTION THAT I USED A GOOD AMOUNT OF LAWRY’S SEASON SALT IN MY COOKER. THE FLAVOR WAS GREAT. I ALSO USED SOME BEEF STOCK, APPROX. 1 CUP. THE BEST FLAVOR CAME AS I REMOVED THE ROAST AND REDUCED THE LIQUID BY MORE THAN HALF AND THEN ADDED IT BACK TO THE MEAT FOR A HALF HOUR TO SIMMER. YOU CAN AT THIS POINT ADD YOUR FAVORITE BBQ SAUCE TO THE POT OR SERVE IT ON THE SIDE, WHICH IS MY FAVORITE WAY. SERVE ON A TOASTED BUN WITH COLESLAW ON THE SIDE. I have an addiction with chocolate and diet Dr Pepper …I’ve never imagined cooking with Dr Pepper and I’m very curious about the result! Well, we sometimes add wine, bier to cook meat so why not Dr Pepper. Be sure I’ll try it out! Thanks for spelling “Dr Pepper” correctly! There’s no period after Dr in the product name. Random Texas trivia. Not sure if this was the beef but it was horrible. Meat was extremely dry with no flavor. Crock pot was full of fat and the sauce had no flavor. My beef was sourced from a local farm shop and the Dr. Pepper was bought from a local supermarket. Really disappointing. I will use the beef with a BBQ sauce and hope it improves. This is no way a negative comment on the website or the recipe it just didn’t work for me. Is it ok to use Diet Dr Pepper? I know I’m three months too late, Jim, but I can tell you I once tried Diet Dr Pepper and the answer is definitely no. It’s chemically different and not a tenderizer. More like a tougherizer. When you say cook 7 hours do you mean on high or low? Sadly, this didn’t turn out great for me either. The Rival Crock Pot I have it only took 4.5 hours, just to note. The beef was tender but it’s pretty flavorless on it’s own. Have heard so many great things about Dr Pepper shredded pork, so I was excited to find this for beef. I, like others, found this to be a huge disappointment! I cooked on low for 7 hours & it didn’t seem tender. Cooked another hour on high. The meat was VERY tende, but as others have noted, had absolutely no flavor. I was impressed with this recipe. 7 hours on low turned a pretty dense bottom round roast into something I could cut with a fork. Flavor though is subjective. My mother thought the flavor was good enough to carry it even though I didn’t use enough salt. (She always says I never use enough salt, though.) I myself found the flavor barely perceptible. Drizzling the juice from the crock pot over it definitely helped, but it was basically water so you had to only use a few drops or you turned your plate into a swamp. It was suggested to me to reduce it down like you would a regular sauce and I think I will do that next time. I think the presence of the Dr Pepper really did have an effect on the quality of the meat though, so this recipe finished a little down for me, but definitely not out! These are all standard measurements but some roast can be quite large and some can be really small so should I just downsize if I’m using a 2 lb shoulder roast? ?